I had an enquiry recently about displaying Organisation Charts with text in different languages. This set me thinking, and, if you have Visio Professional, then you can use Link Data to Shapes to add this capability to existing diagrams, but Visio Standard users can just the Org Chart Wizard. I described how and why I sometimes link a SharePoint document library to Visio documents in a previous article ( see https://blog.bvisual.net/2015/02/10/displaying-sharepoint-document-library-column-values-on-visio-services-diagrams/). I mentioned that I always switch off the visibility of some columns because they are rarely needed in my Visio shapes as shape data rows. In this article, I present a VBA macro that can switch them off for you, therefore ensuring consistency. 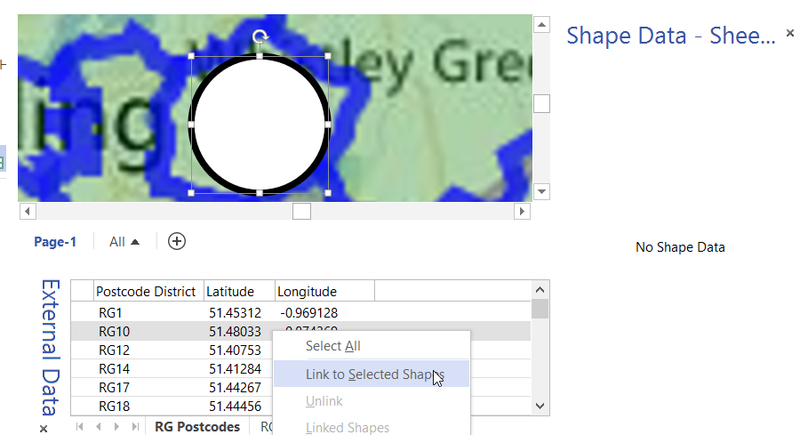 Link Data to Shapes in Visio (not the Standard edition though) is great for visualizing information, and I often use a multi-worksheet Excel workbook that I create locally, and then wish to re-link to a copy of the workbook elsewhere, or even in Office365. This is a simple task if there are only one or two Excel tables involved, but can become tedious when there are many. So, this blog is presents an semi-automated method of achieving this.